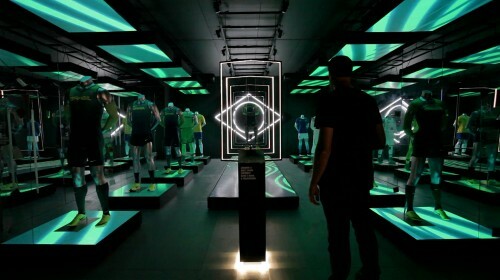 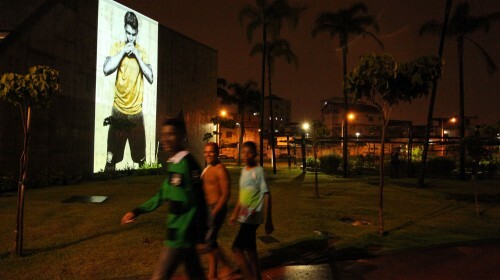 SuperUber created a mapped projection for Ipanema Nike Store during the World Cup. 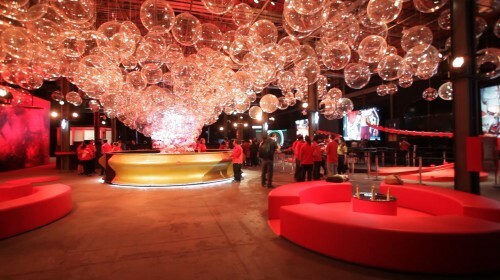 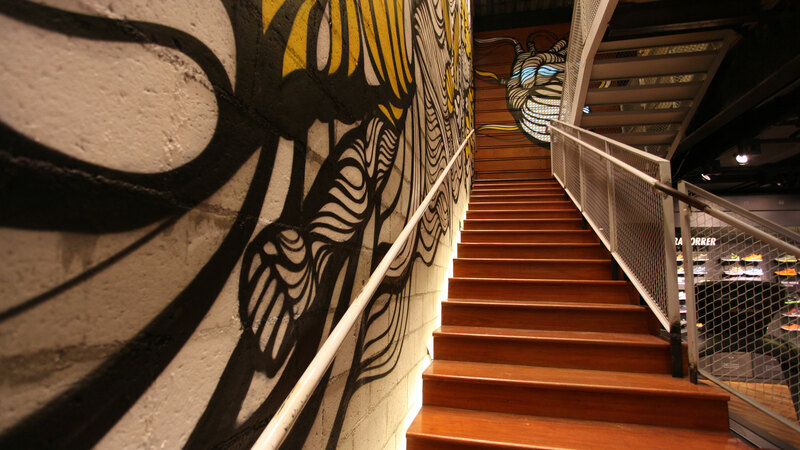 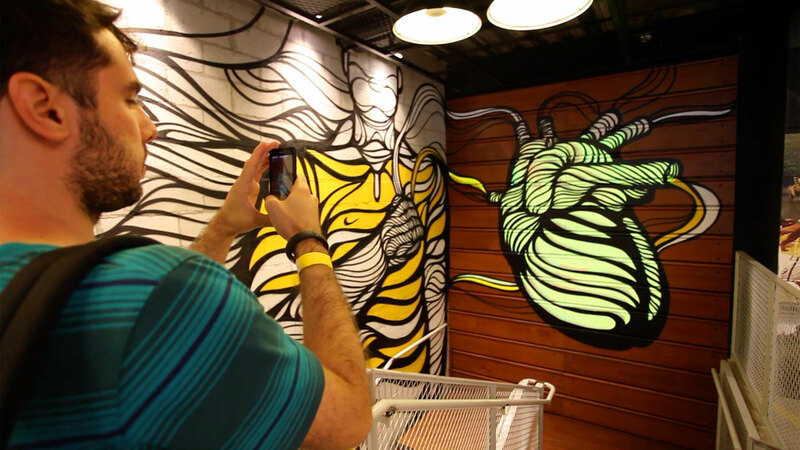 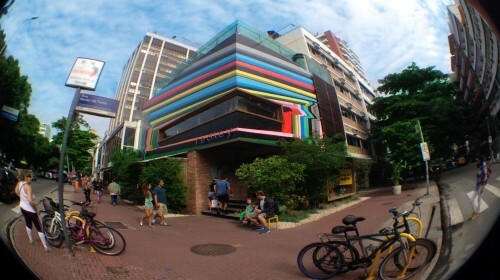 The store was transformed by artist Bruno Big for the World Cup. 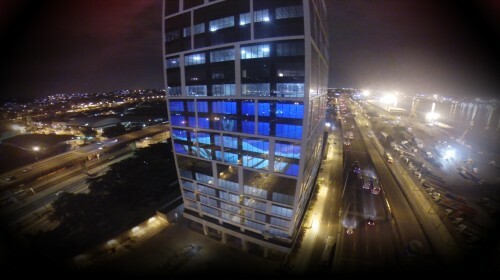 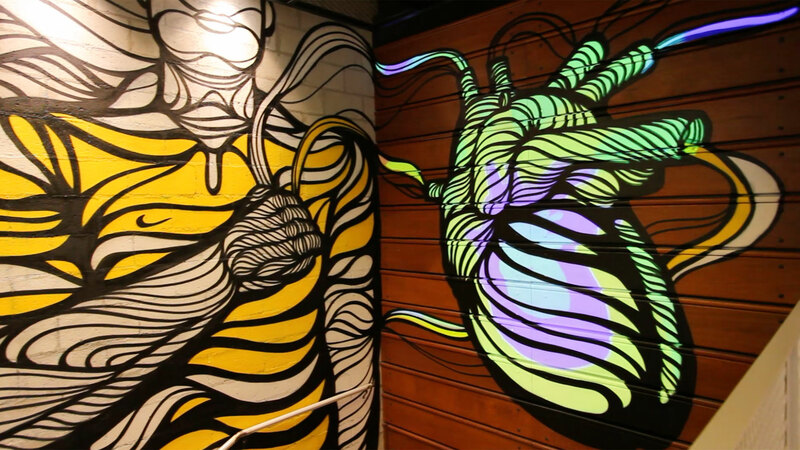 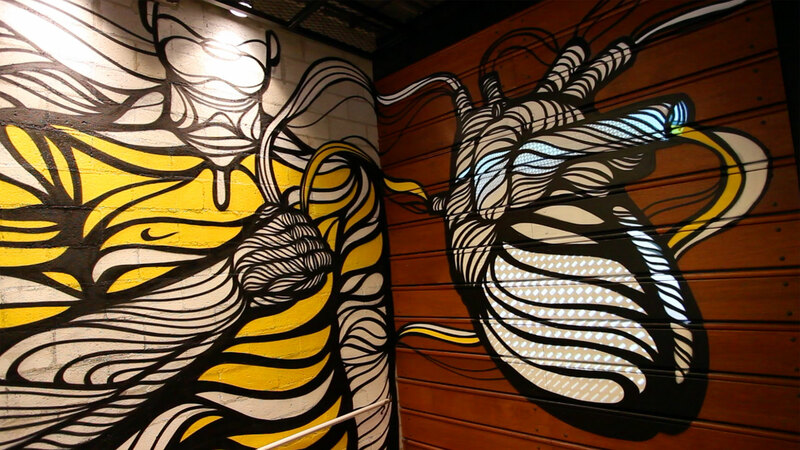 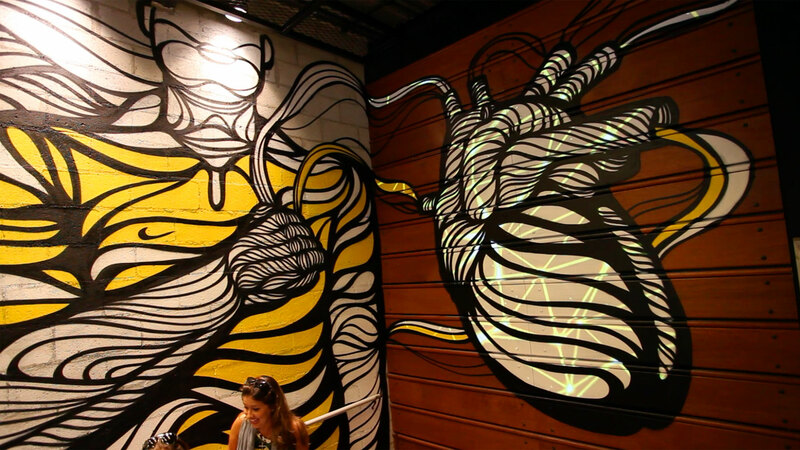 The central element of his painting is a stylised heart, covered by projection mapped animations by SuperUber. 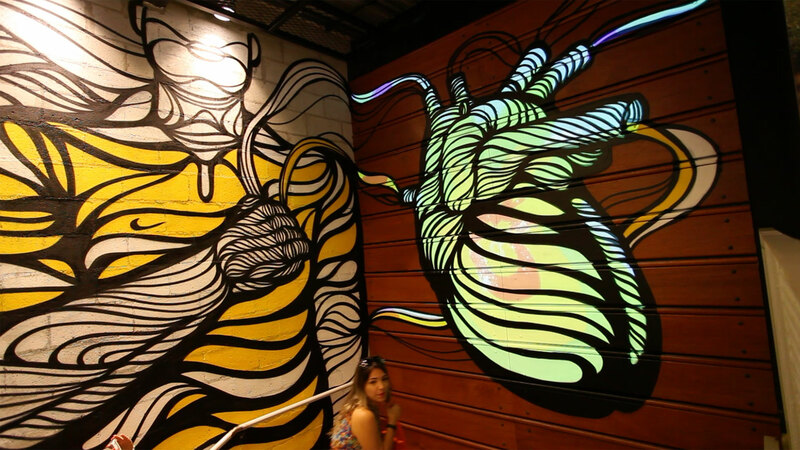 The animations create a digital layer over the heart, with pulsing, rhythmic and fluid movements, representing the energy of soccer fans.